Does Knee Pain Interfere With Your Daily Life?? Knee replacement is a surgery to replace a damaged, worn or diseased knee with an artificial joint. The goal of knee replacement is to relieve pain, restore proper function of the knee joint and improve the quality of life. Knee replacement surgery is taken into consideration when there is severe knee pain or stiffness, moderate but continuous knee pain, chronic knee inflammation & swelling & knee deformity. Knee surgery is recommended for older people, although adults or teenagers of any age can be candidates for the procedure, since they are very active physically and will wear the joint out rapidly. The gender, weight or age of the person is never a factor when making an allowance for knee replacement surgery. Once you are under spinal/epidural anesthesia or local anesthesia. An 8 to 12 inch slit is made in the knee front. The injured part of the joint is detached from the surface of the bones, and the surfaces are then molded to grasp a metal or plastic synthetic joint. The synthetic joint is attached to the bone of the thighs, shin and the cap of the knee either with special materials or knee cap. When put together, these attached synthetic parts make up the joint which rely on the adjacent muscles and ligaments for sustenance. You will be asked to do passive exercises to reinstate movement in your leg & knee. This support will gradually move your knee while you are in bed. It helps to reduce the bulge by keeping your leg elevated which helps in improving your circulation. The workouts your physiotherapist gives you are a vital part of your recovery. It is crucial that you continue them once you are at home. Swelling may appear post surgery, and it may be present for as long as six months. Stiffness may partially be the reason of the swelling. Applying Ice packs 5 times everyday for 5 minutes would help as well as the anti-inflammatory medicines approved by your doctor. Your discharge will be affected by how quickly you recover after the surgery. Generally patients are discharged between 4-6 days after surgery on one knee and between 8-10 days after surgery on both joints. What Are The Main Shoulder Problems? What Are The Various Kinds Of Knee Injuries Occurring From Sports? Are you suffering from Tennis elbow? 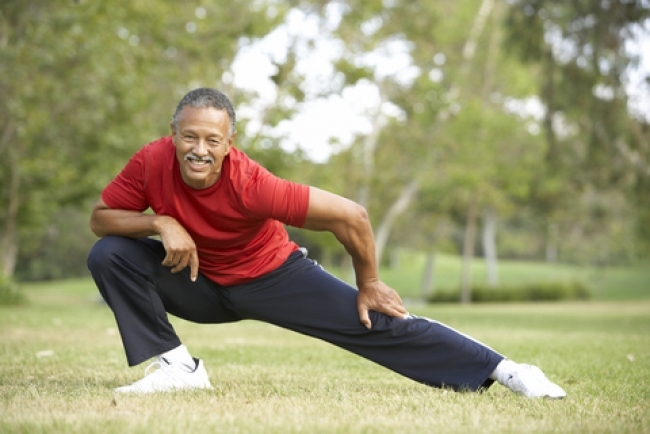 Knee Replacement : Bring Movement Back To Your Life !! !